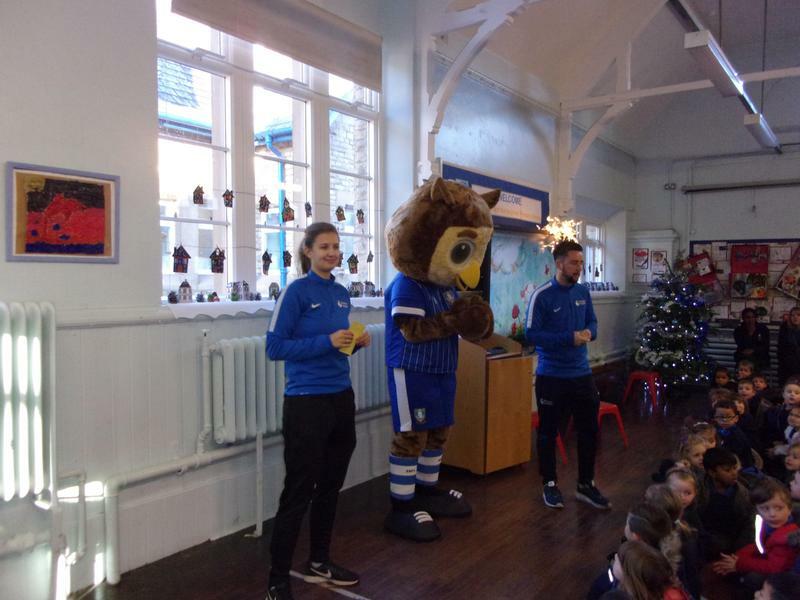 School Visit by Ozzie the Owl! 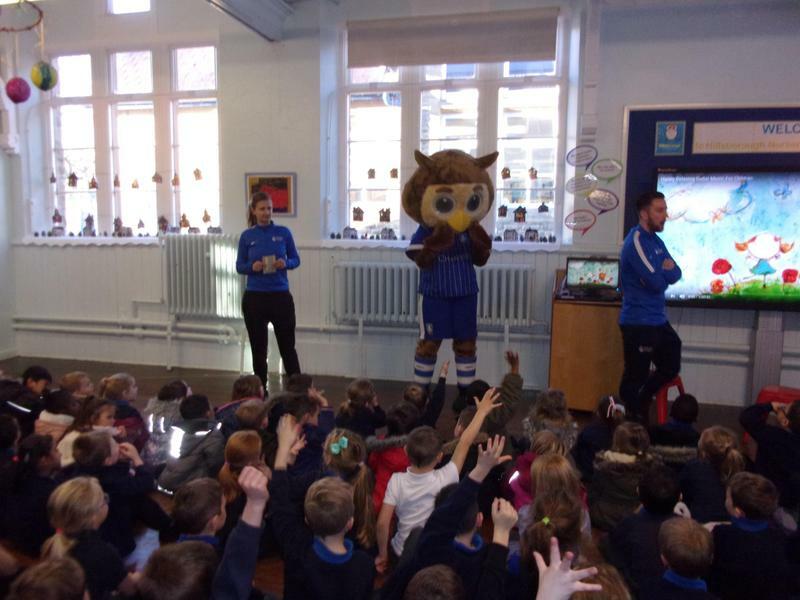 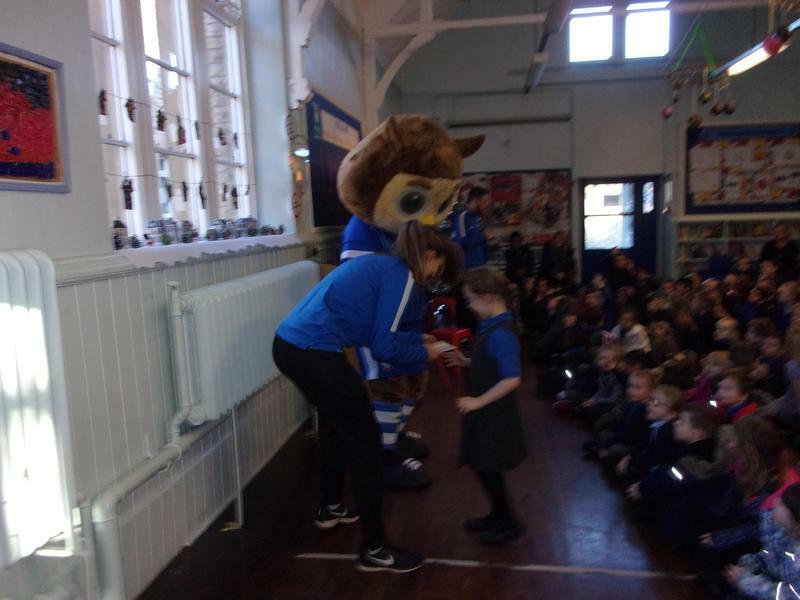 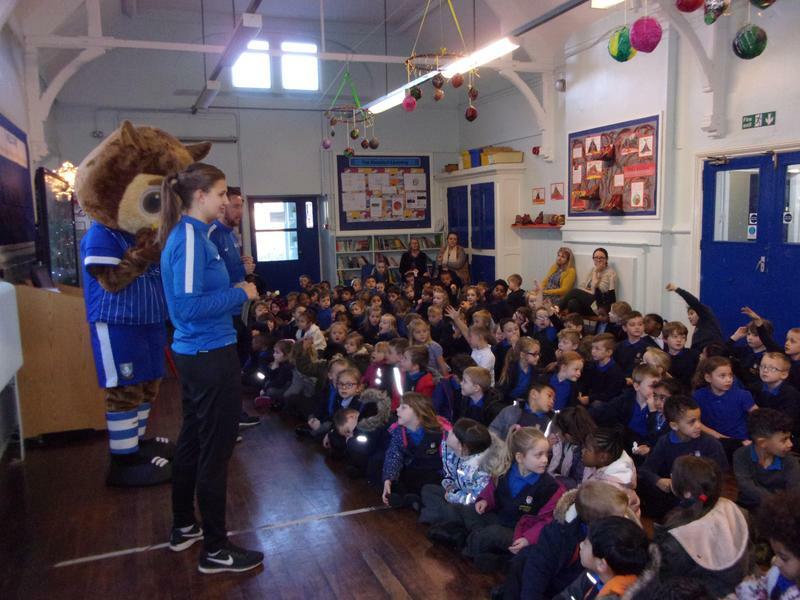 Ozzie the Owl flew by this week to challenge us to a penalty shoot out! 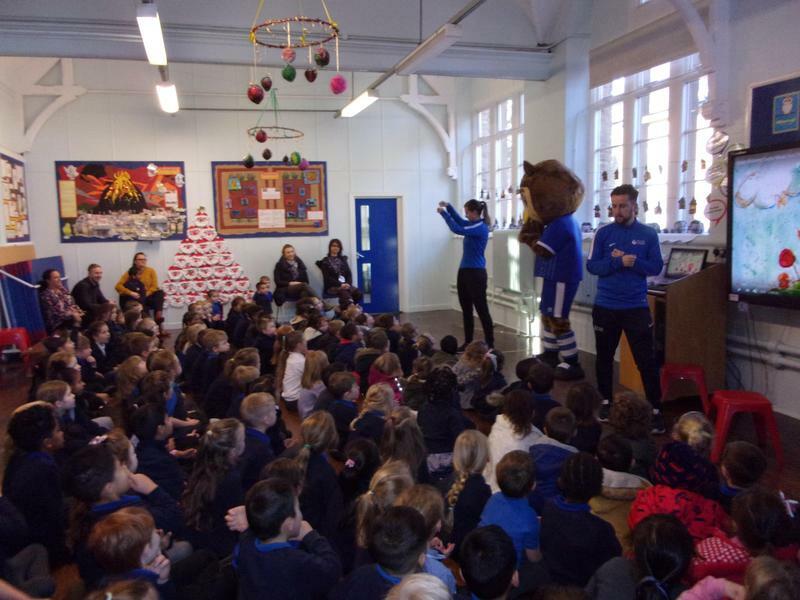 He will be at our Christmas fair so come down to see if you can score past him.